The kalp or single day of Brahma lasts 4,320 million years. The supreme descension of Radha Krishn happens at least once in this period when They reveal the absolute Bliss of braj ras, nikunj ras and maharas on this earth planet through Their leelas. This last happened 5,000 years ago before the beginning of kaliyug. Then, 4,500 years later, Shree Radha Rani Herself appeared as Shree Chaitanya Mahaprabhu to grant renewed bliss to the souls of the world. 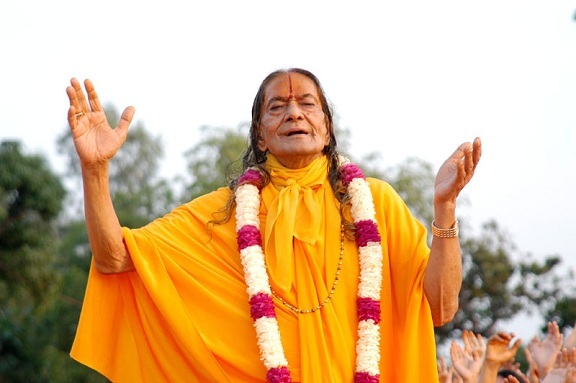 Finally, in our lifetime, our supreme acharya, Bhakti-yog-rasavatar, Kripalu Maharaj, Shree Maharajj has been chosen to pour forth freely the same supreme Bliss of Radha Krishn and Radha Rani as in the miraculous moments of ages past. The source is one and the same, the love is so great and limitless as to be nearly incomprehensible. We tell the story of Kripalu Maharaj so that we can transmit the significance and greatness of the great opportunity that has befallen us. We are alive in the exact period of his descension. We wish to encourage everyone to realize the excellent fortune that he has been revealed to us in the present of our lifetimes. We hope that this website will encourage everyone to be spiritually awakened in order to receive the gift of his Divine presence. His Graciousness has no comparison and his kindness has no limit. We hope that you might catch a tiny glimpse of his beautiful spirit through stories of his life.